Our attorneys can assist you with anything having to do with real estate deeds or any other documents and instruments that affect your real estate rights. If you have questions regarding a deed that currently exists, we can review the deed and answer your questions. We can also create many different types of deeds for a reasonable, flat fee. If you have a situation involving real estate or real estate deeds, we would be happy to assist you. There are many different types of deeds that we prepare. Below we have listed just some of the various types of deeds we create for clients. This is a deed in which one party wants to completely quit and release all claims to a title. Basically, a person wants to be completely removed from the title and have nothing to do with the property from now on. This is common after a divorce or when multiple family members are on a title and one party wants out. Quit claim deeds are used for many other purposes as well. This is a deed where one party conveys their rights and interests in a property to another party. In conveying their own interests and rights in real estate, the person conveying also gives certain warranties, such as the fact that they do own good title to the real estate, they can convey proper title to the real estate, there are no major encumbrances or problems with the real estate, and they will defend the conveyance of the real estate title deed to any other third parties that may come along later. This is a standard type of title deed that one party may give to another party when selling or conveying a piece of real estate. A beneficiary deed transfers a person’s interest in real estate to another person upon the owner’s death. We sometimes describe beneficiary deeds as “transfer-on-death deeds,” because this accurately describes what they do. This type of deed is similar to setting up a transfer-on-death (TOD) designation on your real estate. There are many formal requirements to setting up a proper beneficiary deed, and we have seen many done wrong by those trying to do it themselves. 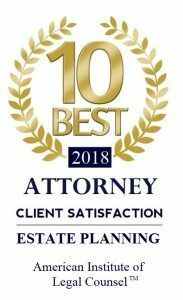 It is very important that you seek the services of an attorney when creating any deed, but especially a beneficiary deed. Please note that a beneficiary deed must be filed during the lifetime of the owner. Sometimes a previous real estate deed has a mistake or inaccuracy in it that requires fixing. For example, perhaps the name of a party is wrong or misspelled, the legal description is wrong, or the way the parties own the property (joint tenants, tenancy in common, tenants by the entirety) is wrong. Usually some sort of corrective deed can be used to fix the problem. Anyone seeking to do this should undoubtedly hire an attorney for help. Do not attempt this on your own. Usually when someone passes away owning real estate in their name only, the real estate becomes “stuck” in the name of the person who owned it (unless they use a beneficiary deed as described above), and the property must then go through probate. However, there are special rules in Missouri that sometimes allow for alternative procedures outside of probate under very specific circumstances. This is a complicated process – one that would be very difficult for someone to attempt without an attorney. For more information, please visit our special webpage dedicated to discussing affidavits and deeds of heirship. If you have any questions whatsoever regarding real estate deeds or titles, we would be happy to set up a consultation to answer your questions, address your concerns, and review or create any such documents. Contact our offices at 417-882-5858 to set up an appointment today. We offer consultations to answer your questions, and many times we can be hired for a reasonable, flat fee to create a real estate deed.